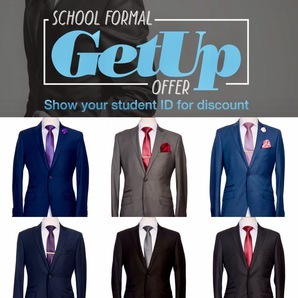 Adelaide Suits Direct has great offers to provide you with a quality suit that won’t break the bank. Eliminating the middle-man, our suits come straight from the manufacturer to our store, meaning we can pass on the savings to you. 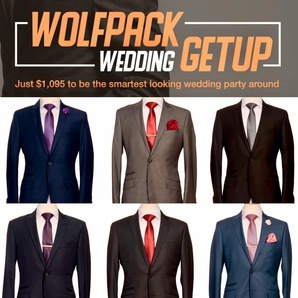 Get you and your groomsmen kitted out for your big day for just $1095. 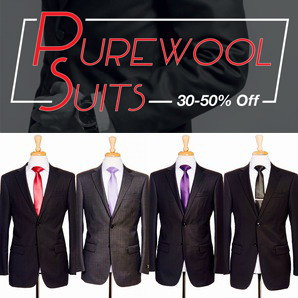 30-50% off on Pure Wool suits. Show your school ID instore and we will be sure look after you. Want to refresh your look? 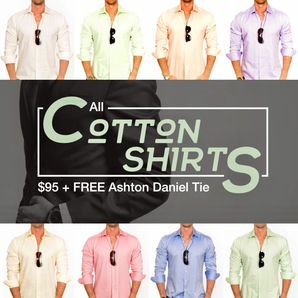 Get a cotton shirt and tie for just $95.